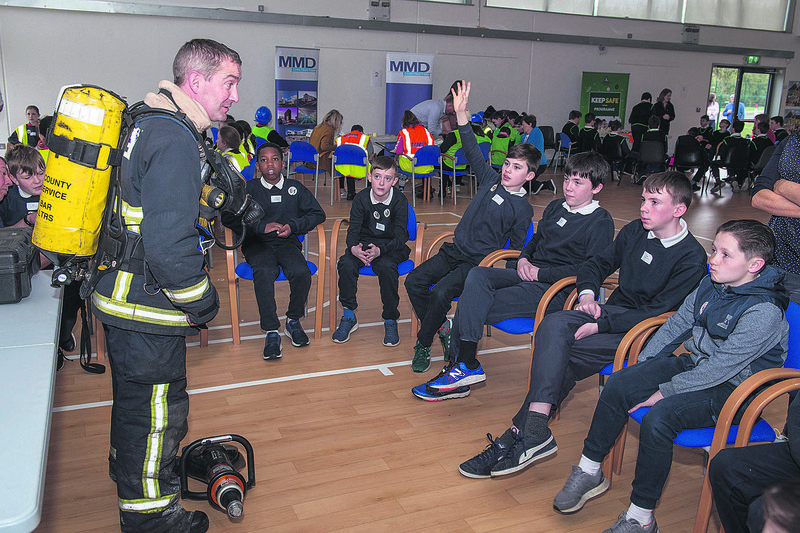 David O’Callaghan, Cork County Council Fire Services, pictured with pupils from Scoil Na Mbraithre, Charleville, at the Healthand Safety Authority ‘Keep Safe’ event in Charleville. The aims of the one day ‘Keep Safe’ event are in line with the Social Personal and Health Education (SPHE) primary curriculum and help children to become aware of personal and home safety, learn how to react to dangerous situations, foster good citizenship, learn how to recognise hazards and manage risks, and learn how to stay safe within the context of, for example, road safety, water safety, fire safety and site safety. 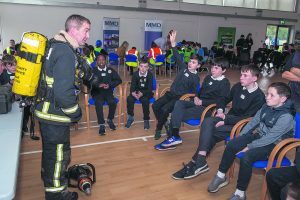 The agencies and organisations that were represented on the day include the Health and Safety Authority, ESB Networks, Irish Water Safety, Construction Industry Federation, An Garda Síochána, Cork Fire Services, Teagasc, and Irish Coast Guard.